I have seen The Nutcracker about three or four times and am always entranced by its magic. I never grow tired of Tchaikovsky’s music and dancing ballerinas twirling in yards of tulle. However, the performance I saw this weekend held a special magic because I attended it with my granddaughter, Allison. We dressed up for an afternoon at the theater. She wore a blue dress overlaid with a black lace and painted her nails silver for the occasion. She even took time to straighten her thick curly hair—which style she prefers over her sometimes unruly curls. We had a lunch of hot chocolate and donuts before the show. OK, I know that is not the healthiest lunch but it sure was tasty. Her mother is in charge of the nutrition department, I’m head of sweet treats. Her hot chocolate and my cappuccino were too hot for us to finish before the show so we left them in the car and enjoyed them cold when we returned. Allison is a serious ballet student and this gave her an opportunity to see a full performance rather than the short snippets done at her recitals. Before the performance began we read the synopsis of Act I in the program so we would understand what was happening on stage. We then reviewed Act II during intermission. Each time I see The Nutcracker I find something new and fresh. Many generations have loved The Nutcracker since it was first performed December 18, 1892 in St. Petersburg, Russia. However, the original production was not a success and received only mediocre reviews. It was not until around the 1950’s did it gain popularity in this country. The first complete performance outside Russia occurred in England in 1934 and annual performances have continued since 1952. 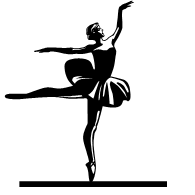 The New York City Ballet first performed it in 1954. Herr Drosselmeyer’s magic tricks on stage set the tone for a truly magical afternoon. The dancers twirled and pirouetted, weaving another moment to remember with my granddaughter.